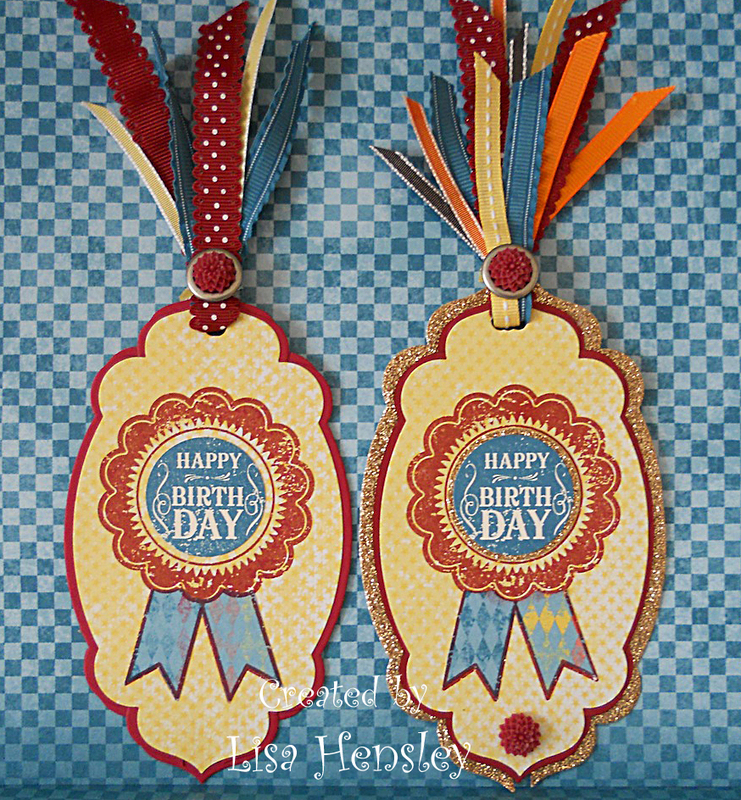 The Shabby Stamper: Creative Crew label challenge! Here is another step-it-up challenge from the Creative Crew! This particular challenge involves stepping-up labels, tags or ATC's. The catalog focus will be the Occasions Stamps (pp.32-57 in annual catalog). 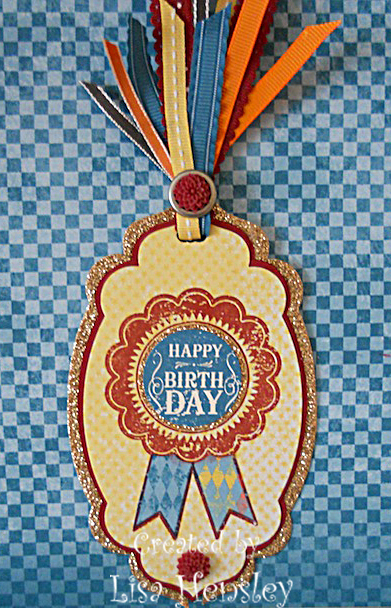 Choose any stamp set to create a simple tag or Artist Trading Card (ATC) then make a stepped up version of your tag/ATC. I went for the basic Happy Birthday tag and glammed it up -- a bunch! 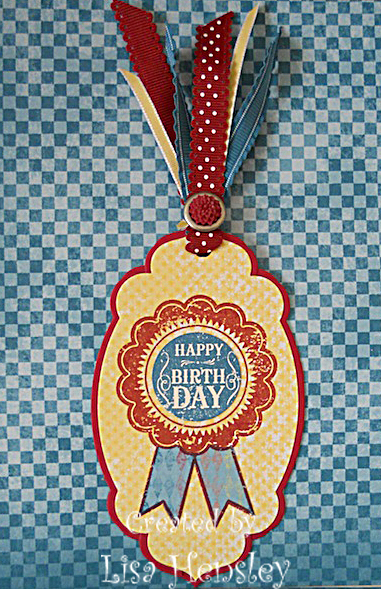 -- by adding a layer of Champagne Glimmer Paper behind the tag and behind the sentiment button. I also added another Dahlia and more ribbon at the top. I love these!!! I love that you used several different ribbons!!! !